The house is available for small cerimonies, weddings, meetings and private parties on request. The owner prepares breakast the first morning in the house. 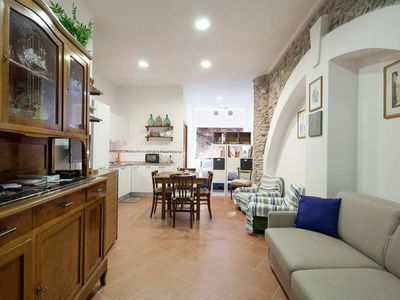 Cosy, comfortable, historical apartment block Palazzo Cittadella , from the 16th century. 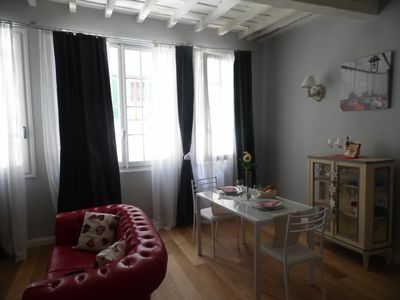 In the centre of Lucca, excellent location: right in the centre but still quiet, in the heart of the city, area with little traffic, in a pedestrian area. Linen change weekly (suppl. charge extra). Towel change weekly (suppl. charge extra). 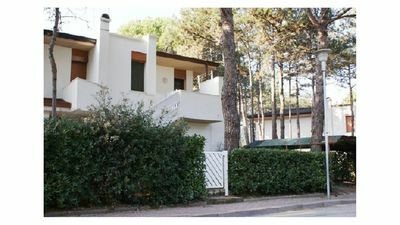 Public parking 800 m. Grocery 50 m, supermarket 1 km, restaurant, bar, cafe, bicycle rental 50 m, bus stop piazzale Verdi 800 m, railway station Lucca centrale 1 km, sandy beach Versilia 30 km. 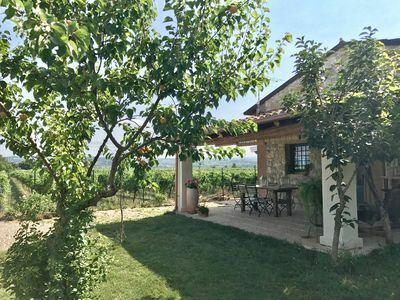 Nearby attractions: Pisa 25 km, Florence 80 km. Well-known ski regions can easily be reached: Abetone 100 km. Please note: no lift. The owner lives in the same residence. The apartment is located in a zone with limited traffic. 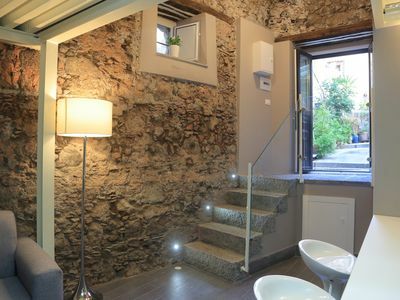 5-room apartment 250 m2 on 2 levels on 1st floor. 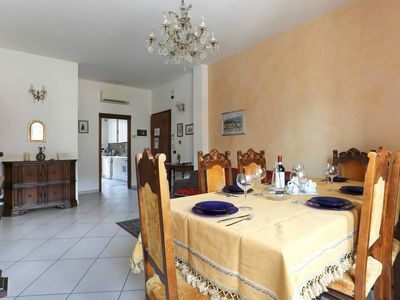 Spacious, comfortable and antique furnishings: large dining room with panoramic window. Walk-through room with library and TV. 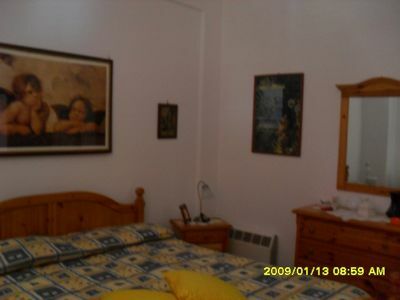 Walk-through room with 1 double bed. 1 room with 1 french bed. 1 room with 1 bed. Bath/bidet/WC, whirlpool. Heating (extra). On the lower ground floor: living/dining room with TV. 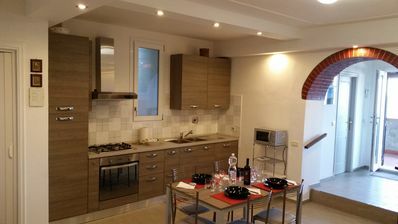 Open kitchen (4 hot plates, oven) with dining table. Facilities: washing machine, iron. 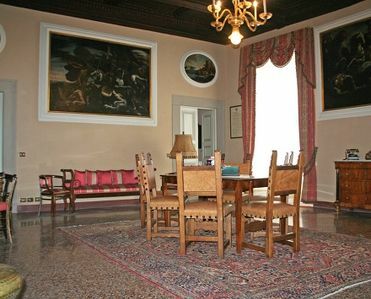 One of the double rooms is a connecting room to the entrance hall of the house, size of double rooms 50 m2. 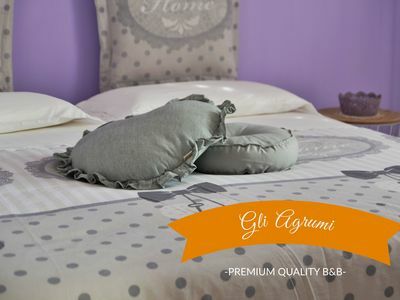 Citruses Bed and Breakfast - Salerno, Amalfi Coast, Pompeii, Paestum.